As revealed at ComicsAlliance, Valiant is proud to announce DIVINITY III: ESCAPE FROM GULAG 396 #1 – the next can’t-miss one-shot special torn from the pages of the winter’s visionary comics event! 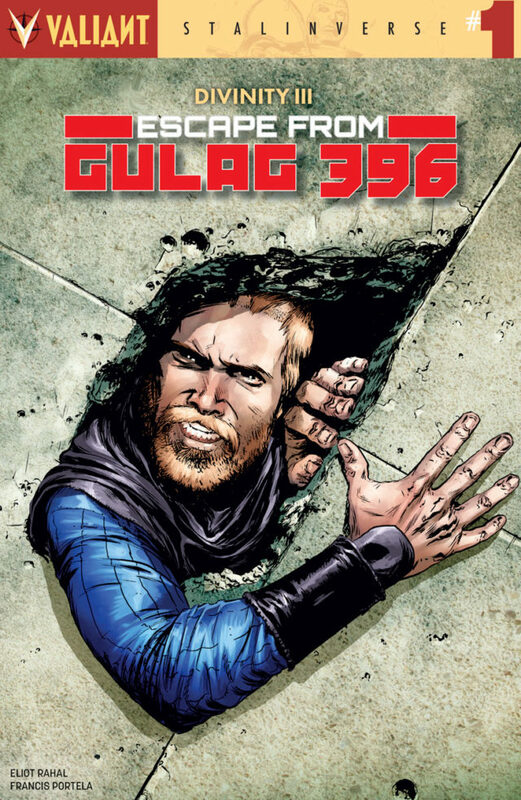 On March 15th, join rising star Eliot Rahal (The Paybacks, The Door Man) and acclaimed artist Francis Portela (Faith) as they sentence religious zealot Obadiah Archer and the unkillable libertine called Armstrong to a fate worse than death: A lifetime sentence in Gulag 396, the deadliest prison known to man. But in letting these two subversive criminal offenders into its walls, has this oppressive Gulag condemned Archer and Armstrong…or itself?